You’re already aware of how important it is to have reviews for your business or brand. Actually getting them, though, is a whole other thing. It can be intimidating if you’re not sure how to go about it, and it does take some time to implement the practices you decide on. The rewards of doing it, though, can be huge. Also, once you start getting reviews, it’s important to keep on getting them. 40% of consumers only take into account reviews written within the past 2 weeks, and that number is up from 18% last year. It’s clear that consumers not only want to see a good number of reviews, but they also want to see recent ones. Those are basic, proven ways to get more reviews, and they’ve been done a ton with great success. For this article, though, we’re more concerned with A) unique ways to bring in reviews and B) how to keep those fresh ones rolling in. Let’s get to it. It’s time to go off the beaten trail with some tactics you might not have considered for getting more reviews. Of course, you wouldn’t want to add a callout to a prospecting email, so make sure that if you add one to your template, you have a separate template for prospects/leads. If you’ve earned some great reviews, now it’s time to share them! Use your social media channels to promote the best ones. Facebook, Twitter, and Instagram are good places to share. You’ll want to create an image with the review on it, so that it’s a visual post. To encourage more reviews, mention in the post that you love seeing new reviews like this one, and include the link to leave a review. Your social media followers are likely following you because they want to/have had a pleasant experience with your company, so sharing an awesome review might just spur them to write one of their own. Of course, you wouldn’t want to use a post that’s requesting reviews as any sort of promoted post. If you want to use the image of your great review as an ad, don’t also ask for reviews in the text. You know when you go to a coffee shop or store and the cashier circles a spot on the receipt where you can take a survey? There’s no reason you can’t do this, too! This can be done in a couple different ways. If you’re a retail company or local place, you could add it to the receipt that prints after a transaction. If you’re a home services company, you could print business cards with a shortened URL on it to leave a review, and staple it to a receipt if the client seems highly satisfied. Sometimes, snail mail still works! If you have addresses of satisfied customers/clients, you could print off a postcard with a shortened URL on it where they can go to leave a review. It could be some sort of “customer appreciation” mailing – you could include a coupon or offer as well to amp up the awesomeness. 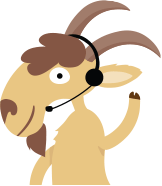 If you’re the type of company/brand that has a support crew (or even just one person who answers questions), train them to mention leaving a review at the end of the conversation when the caller’s issue has been solved or he or she is happy with the outcome. It never hurts to ask, and this way of asking really makes it more personal. Managing your reviews and getting more of them is something a lot of companies/brands are dealing with, so it’s only natural that some really helpful third party tools have been released over the past couple of years. There are tools that monitor for new reviews, help you gather new reviews, use your reviews in your marketing efforts, and more. They run all the way from free to enterprise-level expensive, depending on what features you need and how many reviews you’re dealing with. Monitoring and managing your online reputation is incredibly necessary. Without it, you’re a sitting duck! 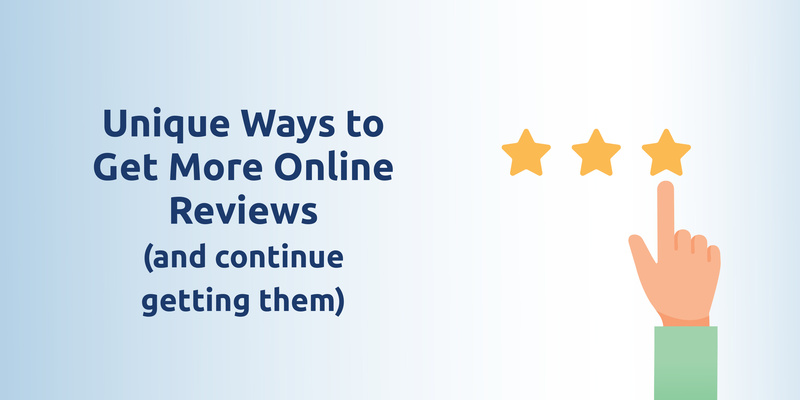 To constantly keep new reviews rolling in, you need to keep employing multiple strategies. Need help obtaining more online reviews for your business without all the work? Contact the review crew at Rize or watch our demo video and claim your two-week trial today!